David Sibley makes wonderful bird books. His bird paintings are such works of art you can enjoy them as eye candy as much as for the information they convey. I especially love the bluebird pages. 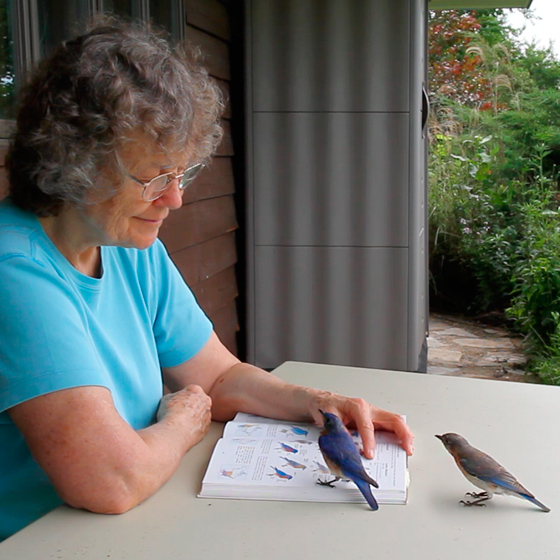 But I got a whole fresh take on what "bird book" really means when a pair of eastern bluebirds breezed up to mine when I was sitting outside and landed on their own page. David Sibley's Second Edition of the revered Sibley Guide to Birds is the field guide every serious American birdwatcher must have access to. It's massively expanded and updated, with new paintings, new and rare species, and a new, elegant design. 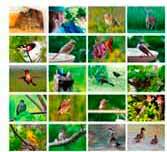 The book contains over 6600 paintings of birds. Each one is a work of art in its own right. All the birds love a birdbath, including bluebirds.